Wouldn’t it be great to have a marketing tool that brings you inside your customers’ offices, homes, cars, and handbags? A promotional notepad gives you that power. 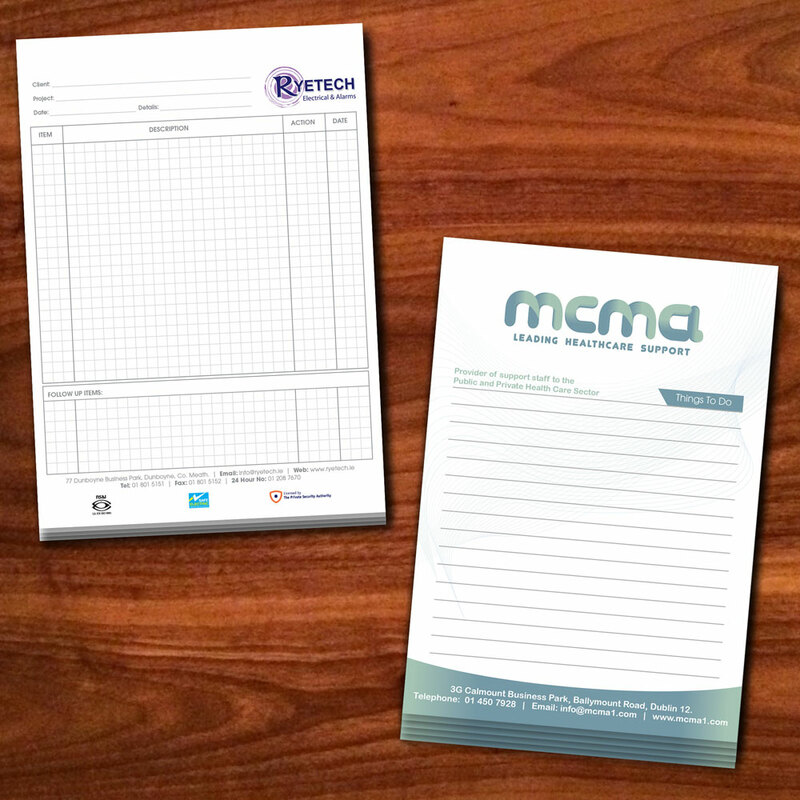 Spread the word about your business in a subtle but effective way by distributing notepads on smooth white paper with your logo and business details in full colour. Your details appear on every page, so your business profile grows with every note scribbled and every phone number passed on. By giving them away at networking events and trade shows, you can multiply the effect. Before long, your business will be a household name.